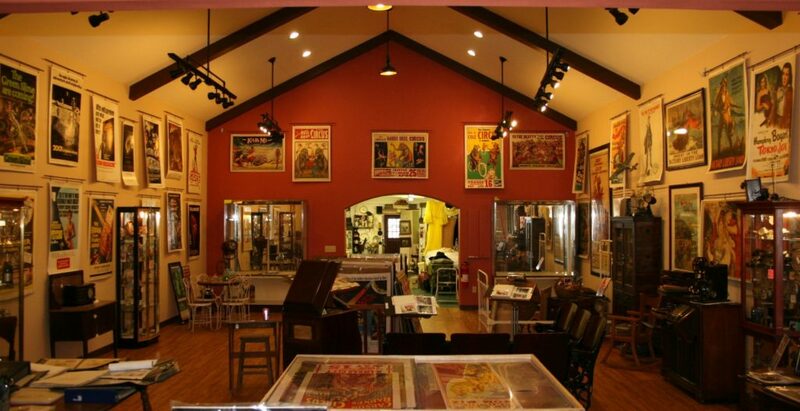 Poster shop, Limited Edition art & antique was founded in 1994 and is located in Houston Texas. 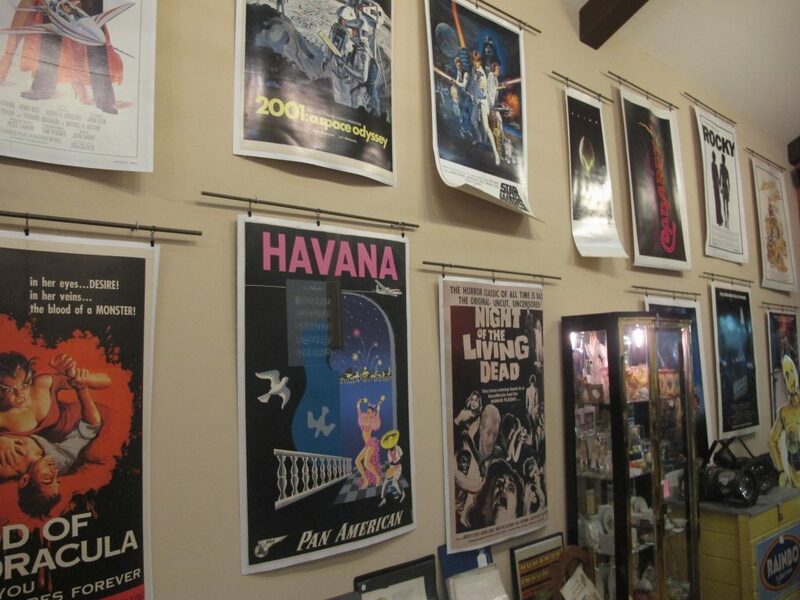 The movie poster specializing gallery is owned and operated by Elizabeth and Harry Proctor. 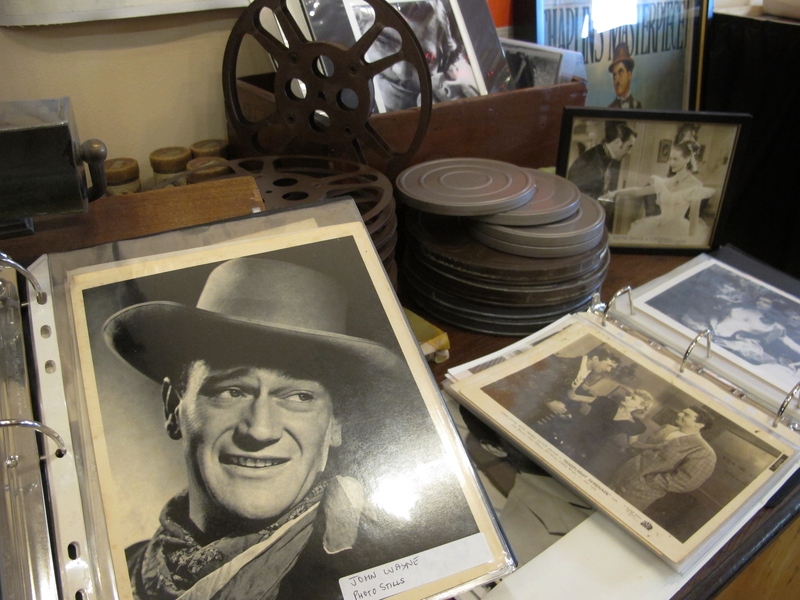 The Proctor’s, along with owning a diverse array of period antiques, have an extensive paper conservation and restoration studio for all old vintage paper ranging from maps, WW1 propaganda, circus, magic and of course, movie posters. 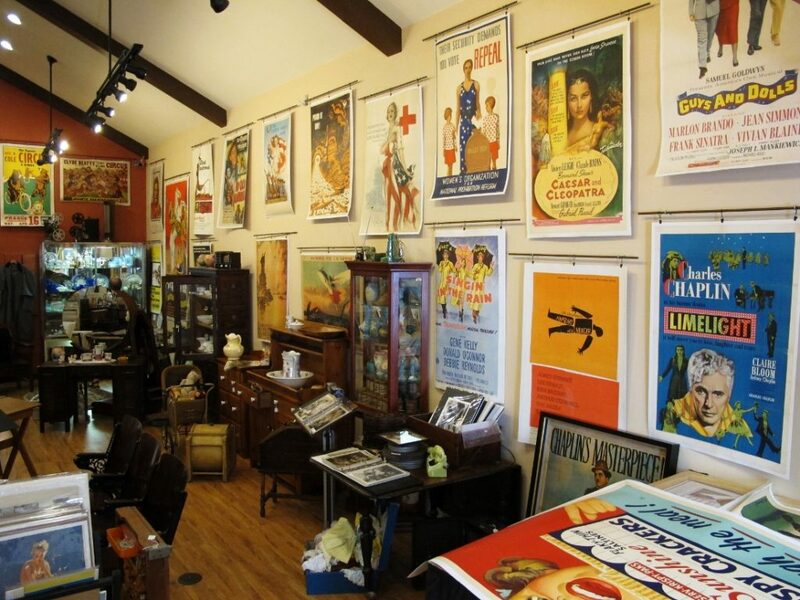 This blog is focused on giving you a brief tour of our poster shop located in Houston and how to use our online gallery www.originalvintagemovieposters.com for buying posters or requesting linen backing or restoration services. 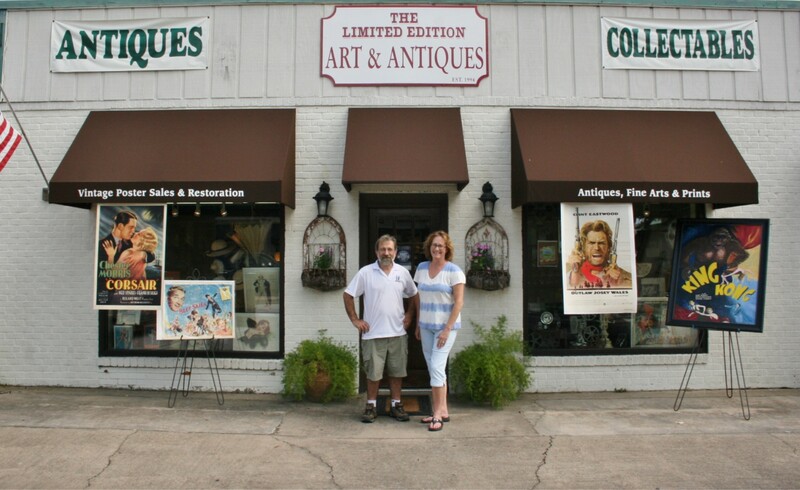 The Limited edition art and antiques located at 5717 Second Street, Katy, Texas USA is a 3500 square foot poster shop. They describe themselves as excellent with customer service and that they share a deep love for preserving pieces of history. They are constantly acquiring posters with an inventory that grows on a monthly basis as result of acquisitions from people like you, consignments or trades. If there is a poster you are looking for and don’t see it on the site, please <Contact Us> there are thousands of posters not yet uploaded! At our Houston based shop and conservation studio we have posters in racks, linen backed posters on our walls, books filled with our entire inventory sorted in to genres, old record players toting Ella Fitzgerald and complimentary capachunios while you sit back on old 1920’s theater seats and take in the artwork. Come visit us and you will be able to sift through our discount rack where we have some posters that are 50 to 75 percent off! If you are not in the Houston area and or came across the site through the world wide web, here are some general tips for how to use the online store. All the following information can be accessed from the red menu bar under our logo. The following numbers relate to different menu bar buttons and what you can access through those portals. (1) If you would like to browse our most popular poster categories, or just see all the inventory, then click on the POSTER SHOP. (2) If you are researching Linen backing, how to condition grade movie posters, what are official movie poster sizes around the world or poster restoration click on LINEN BACKING. By clicking on Linen backing you will see costs. By clicking on movie poster restoration you will also find costs estimates for different kinds of restoration and explanations for different kinds of restoration processes. 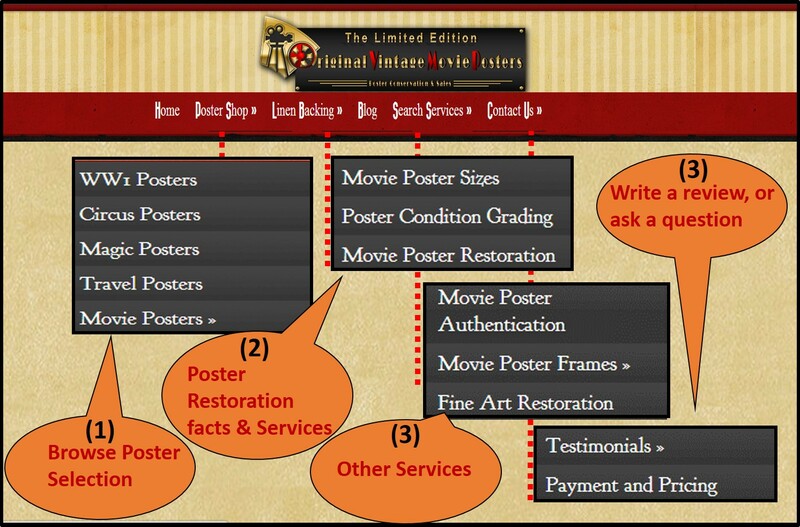 (3) If you are interested in some of our other services like movie poster authentication, poster framing, or fine art restoration click on SEARCH SERVICES. (4) If you would like to leave a testimonial because maybe you had a good experience with our staff, or perhaps you were especially happy about a good purchase; then click on CONTACT US and read what other customers are saying about us. If you were given an invoice number then click on payment and pricing for check out. Another unique feature you can access is our newsletter system. This newsletter system grants you access to special discounts that can range as high as 50 percent! It also gives you access to eBooks we have published. 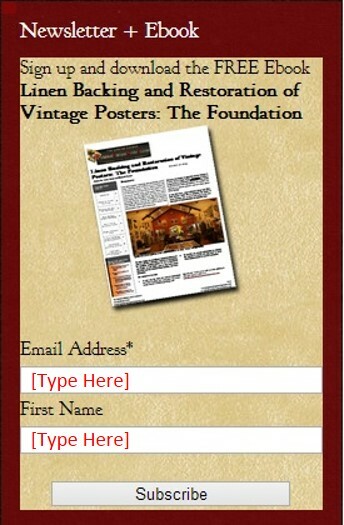 When you sign up for the newsletter you will receive access to a download for a FREE eBook titled: Linen Backing & Restoration of Vintage Posters: The Foundation. Sign up for our newsletter, we offer exclusive discounts on select posters once a month! Our website also has a unique feature which allows you to leave a testimonial and read other customers testimonials to our services; whether it was linen backing and restoration, or you enjoyed customer service after buying a poster. Either way, here is the place to leave your thoughts and opinions about our poster shop and gallery.